This year has flown by so far. I’ve been so busy I have sadly neglected my blog and I need to make up for lost time. Fortunately I haven’t been too busy to travel! 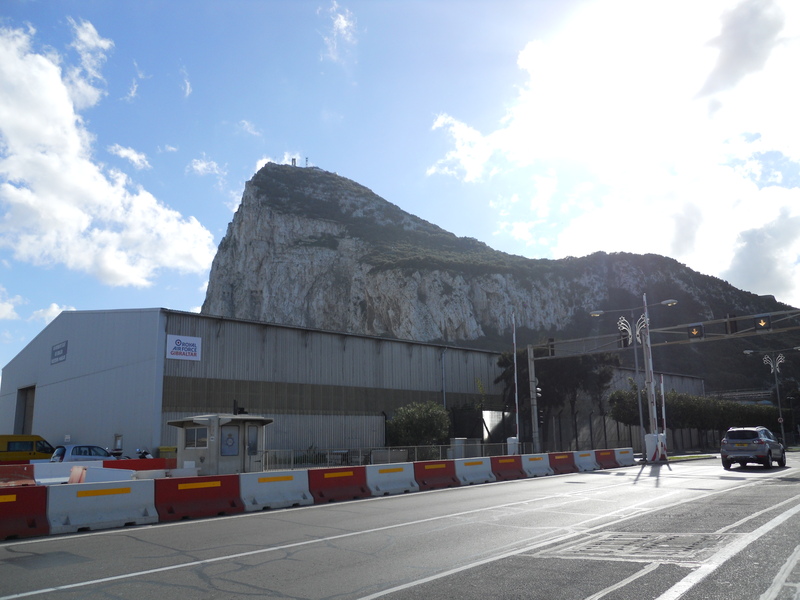 My year of travel actually started off immediately, after a fabulous night out in London to ring in 2015, my friend and I headed to the airport and flew to Gibraltar, a British overseas territory. 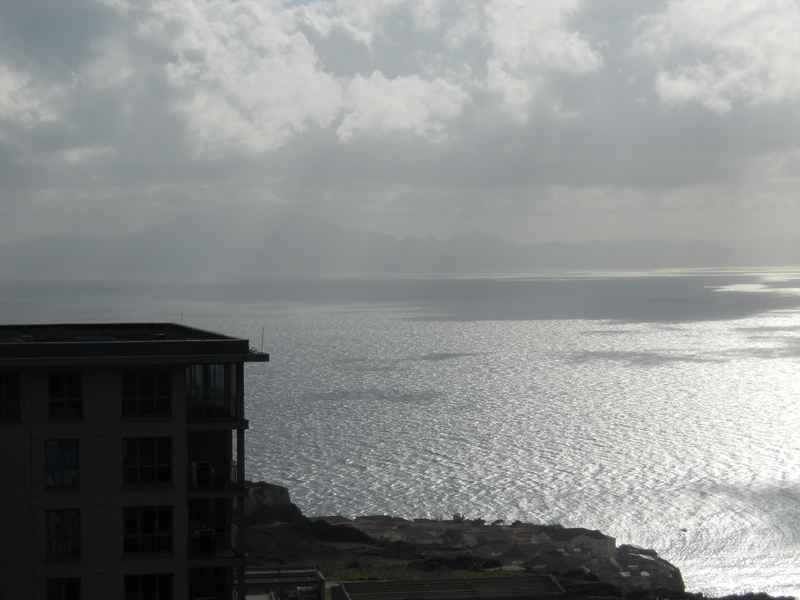 We decided to stay in Spain in La Linea de la Concepcion, which is a short walk from the airport over the border with Spain, as accommodation is much more affordable and available there than in Gibraltar. I’ve also never walked over a border like that before, just a quick flash of the passport at the border patrol and we walked in. Very informal. 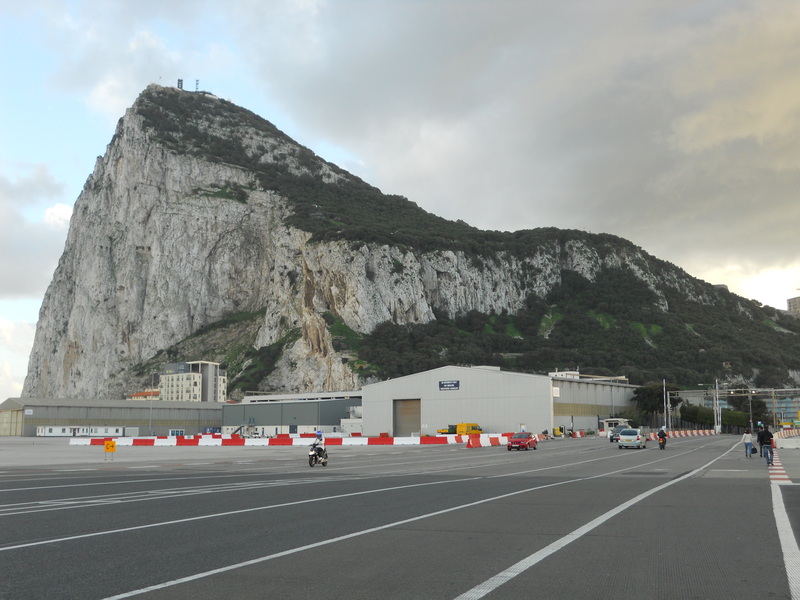 Once in Gibraltar we had to walk across the runway. Yes, you read that correctly, a road and sidewalk go right across the airport runway. When a plane comes in the road/sidewalk are blocked off until the plane lands and then it is open to cars/pedestrians once again. 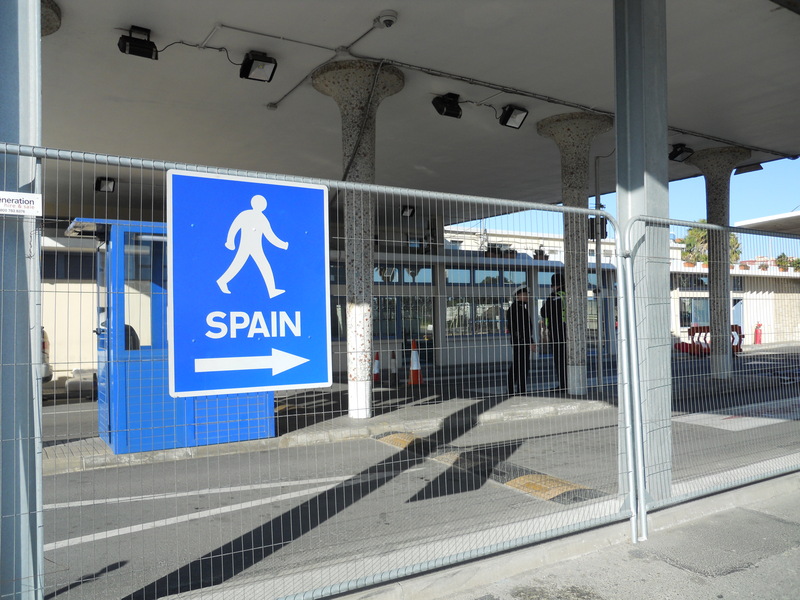 Unfortunately since it was New Year’s Day many of the places in Gibraltar were closed. But that didn’t stop us from walking from one end to the other. From the border we walked along the street that borders the famous rock and onto the main street. It was close to lunchtime and we found a Moroccan restaurant named Tagin which was open. It was a small place, just a few tables, with one older man cooking and serving. 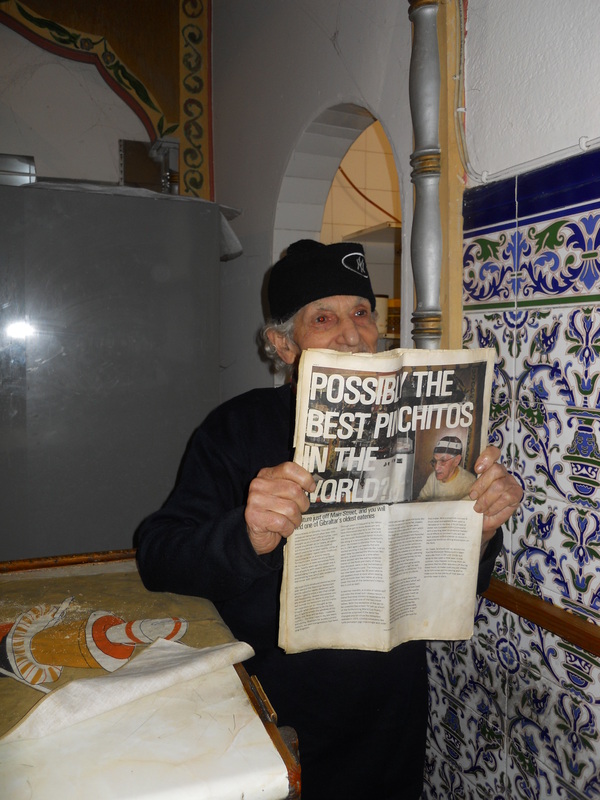 The food was delicious and at the end of the meal we found out it was actually famous (at least famous for Gibraltar) when he showed us a newspaper article about their famous pinchitos. 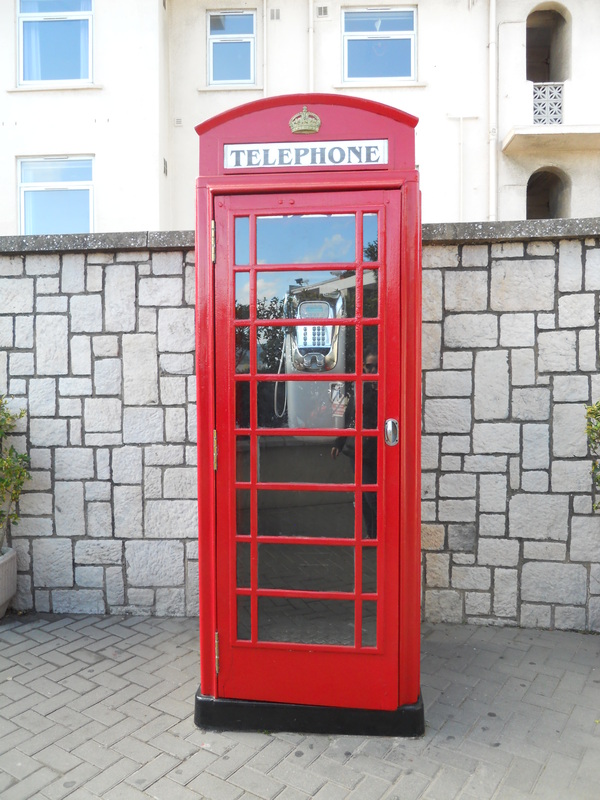 As we continued our walk we saw both Spanish and English influences. 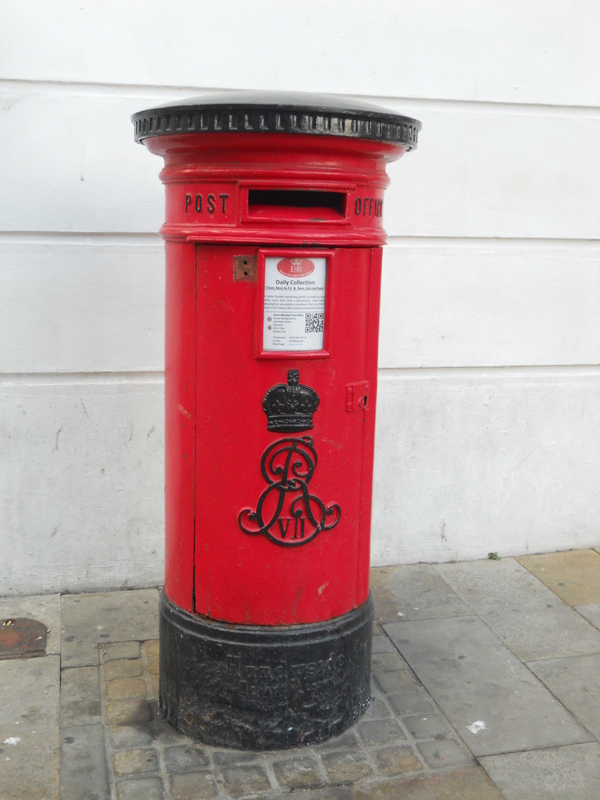 We were told that the language is typically Spanish and many people actually live in Spain, but it is still a British territory and therefore has English signs, uses the pound (although there is a Gibraltar pound) and evidence of the typical sights from England like those red post boxes and telephone boxes. 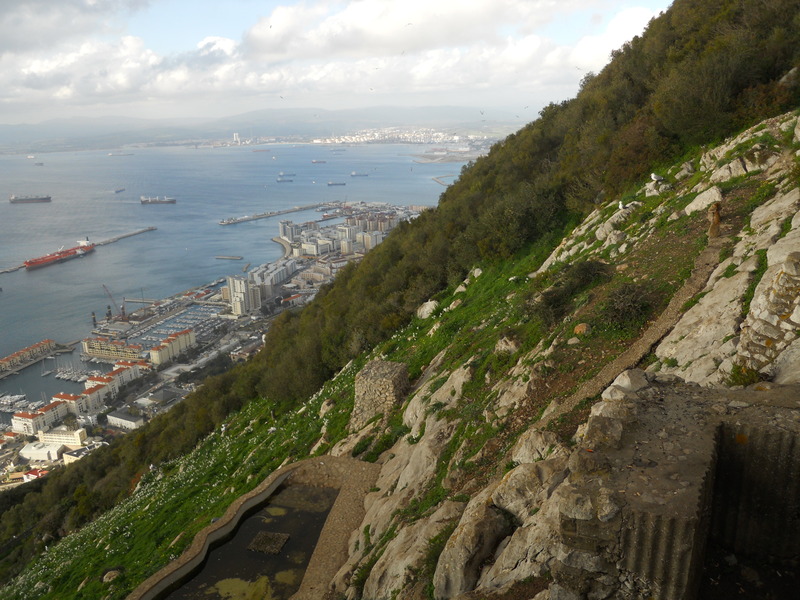 One of the highlights in Gibraltar is of course to go up the Rock. We weren’t sure how to manage this with everything closed when we stumbled upon a taxi about to take a group on a private tour. Luckily we were able to join the tour. The driver wound us up the Rock to the viewpoint called the pillars of Hercules. 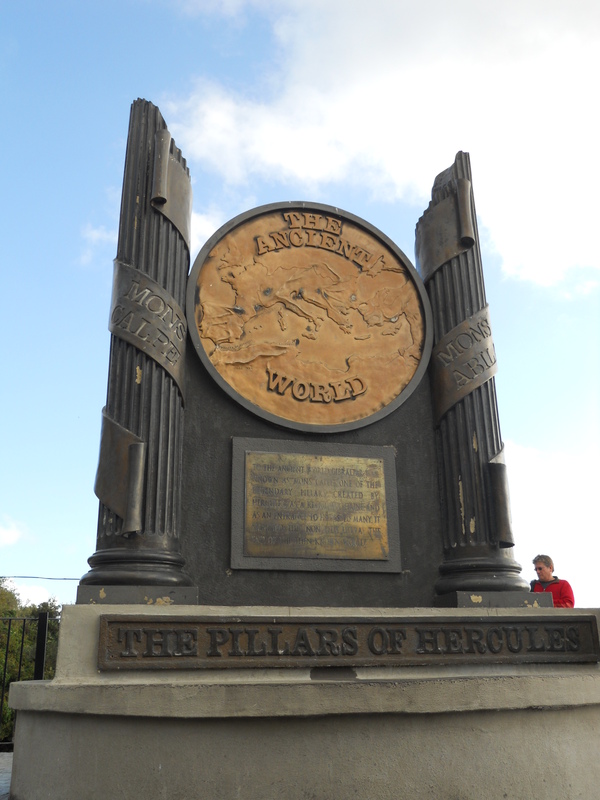 In Greek mythology it is claimed that Hercules marked this spot as the furthest place on Earth. 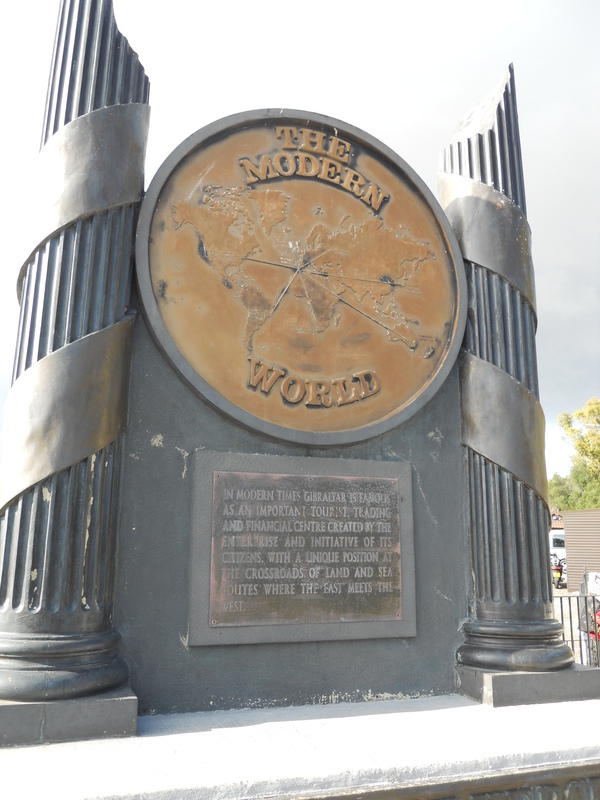 The monument shows a map of the ancient world on one side and the modern world on the other. We could even see Africa, my first glimpse of it, just barely though as it was a cloudy day unfortunately. 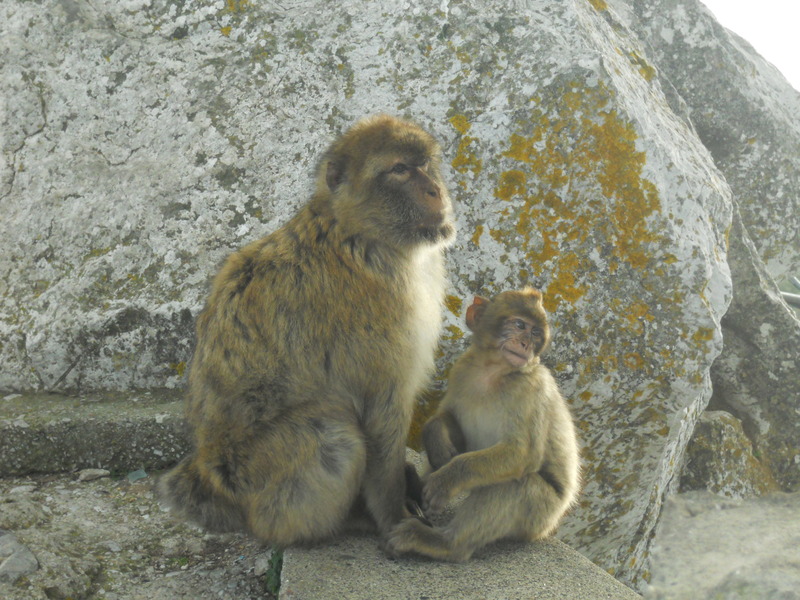 The tour continued on to the top where we had beautiful views and finally saw the famous monkeys which live on the Rock of Gibraltar, the Macaques, the only wild monkeys in Europe. 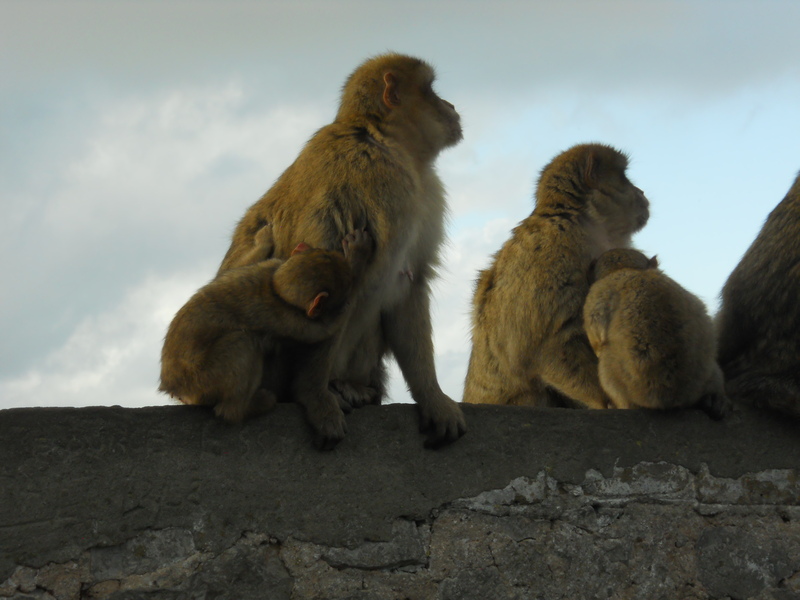 They are descendants of the North African monkeys and about 300 live on the Rock. Both the adults and the babies have little fear of people, they wandered on the cars, hit the car windows and we could walk quite close to them without them running away. We were warned though that they are still wild animals and will bite if provoked. After spending some time with the monkeys the tour went to the fortress, which was unfortunately also closed so we only stopped at the entrance. There we saw more monkeys and views over the city. 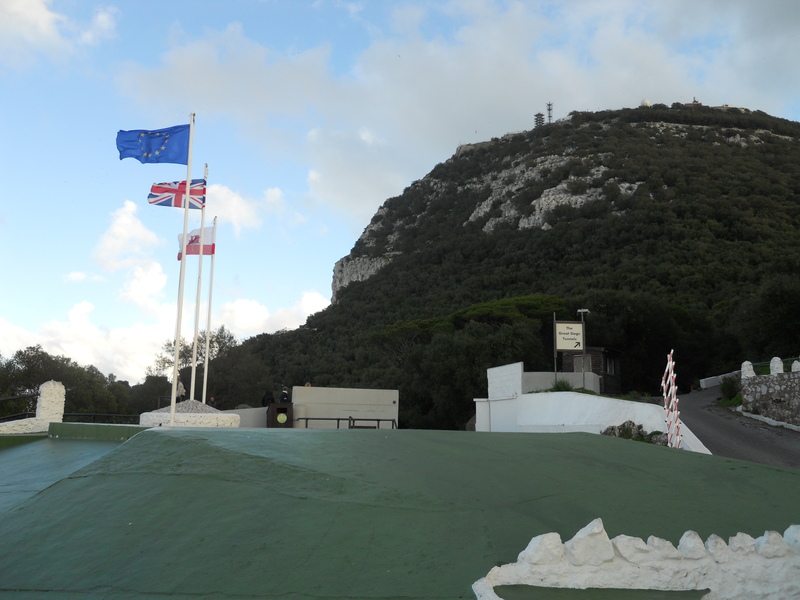 As Gibraltar is a British territory the flags flown at the fortress are the British flag, the flag of Gibraltar and the European Union flag. It was too bad everything was closed but we had fun anyways. The only other food places open that evening in Gibraltar seemed to be Irish pubs so we decided to go for tapas back in Spain. We walked back over the runway and across the border. That ended our adventure in Gibraltar but started the adventure in Spain. More to follow!